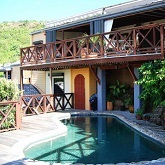 A beautiful 3-bedroom family home on the West Coast of Antigua is selling at US$750,000. 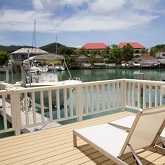 A beautiful waterfront villa on the south finger of Jolly Harbour with marina views is renting at US$1,225 per week. 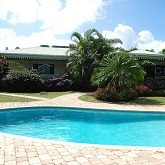 Charming 2-bedroom villa overlooking Jolly Harbour Golf Course is selling for US$$225,000. 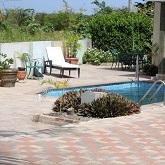 Modern 2-bedroom, 2.5 bath villa located in the gated community of Jolly Harbour is available for rent at US$1,440 weekly. 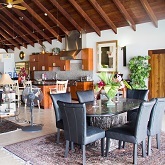 Contemporary styled villa with timeless designs located in the gated community of Jolly Harbour is renting at US$1,500 per day. This site offers stunning oceans views and beautiful sunsets, the perfect spot to build a home or a fabulous holiday home. Buy at US$265,000. 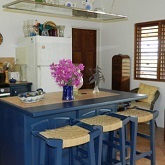 Tastefully furnished two and three bedroom villa located on a quiet street in Hodges Bay. Rent from US$2,500 monthly. 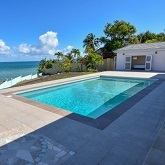 Newly refurbished villa located within the popular and quiet neighborhood of Hodges Bay, with the beach just at your doorstep is available for rent. 3-bedroom villa set on a hilltop on Wild Orchid Drive overlooking the golf course. Buy for US$985,000. 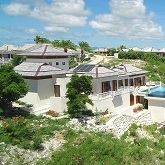 Stunning 4-bedroom Caribbean style home located on a hill side above Galley Bay on the west coast of Antigua. 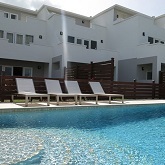 Rent for US$1,500 per day. 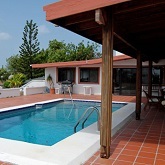 3-bedroom modern hillside retreat with infinity pool and views of of Falmouth & English Harbours is renting from US$525 daily. This five-bedroom villa is perfect for those who love historic properties with picture perfect views. Luxurious 4-bedroom villa located only steps away from the gorgeous turquoise waters of Nonsuch Bay is renting from US$9,100 per week. 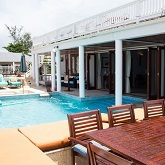 Stunning villa set within the grounds of Nonsuch Bay Resort where guests can enjoy the resort facilities is available to let from US$5,900 weekly. 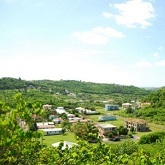 Set on two acres of beachfront land with spectacular views Nonsuch Bay. Rates apply from US$6,300 per week. 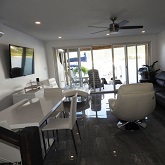 A newly renovated, two bedroom, one bathroom luxury villa located in the beautiful South Finger in Jolly Harbour is available for rent at US$300 per day. 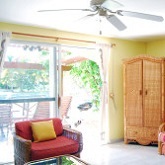 Spa­cious beach­front villa sit­u­ated on a beau­ti­ful white sand beach. 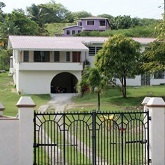 Renting at US$14,000 per week. 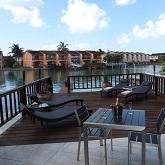 Two bedroom waterfront villa situated on the North Finger of Jolly Harbour is now on the market at US$1,325 per month. 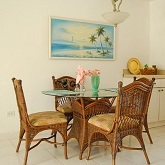 A beautiful two-bedroom vacation villa near Cedar Valley Golf Course at US$235 per day. 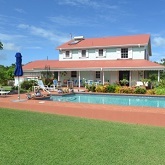 Spacious 3-bedroom luxury villa set on the grounds at Nonsuch Bay Resort is available from US$3,100 - US$3,300 weekly. This 4 en-suite bedroom villa located in Jolly Harbour offers pure seclusion and tranquillity, beautiful pool and its own beach. Renting for US$1,500 per day. 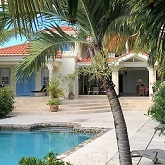 Beautiful, Caribbean style villa set in its own grounds with private pool in Jolly Harbour is renting from US$1,300 per week. 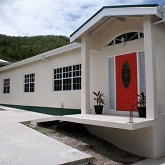 A newly built 3-bedroom, 2-bathroom home located near Cades Bay on Antigua’s west coast is available to rent at US$1,500 per month. 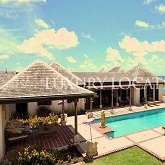 Located in Galley Bay Heights, one of Antigua’s most private and scenic gated communities is this luxurious villa. Renting at US$1,000 per day. 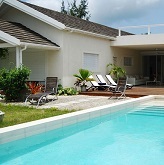 This stunning 2-bedroom villa clad in modern furnishings, is located on the South finger of Jolly Harbour. 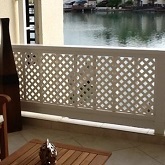 Available to rent from US$1,500 Weekly. Newly built and tastefully furnished 2-bedroom house with open plan kitchen, living & dining space is available to rent immediately at US$1,300.00 monthly. 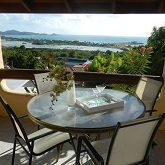 Beautiful 2-bedroom villa on the South Finger of Jolly Harbour, a few minutes’ walk from one of the most beautiful beaches in Antigua is renting at US$350 per day. Beautiful waterfront villa on the South finger of Jolly Harbour with magnificent views across the Marina is renting at US$1,400 Weekly. Beautiful 3-bedoom villa with stunning views across Falmouth Harbour. 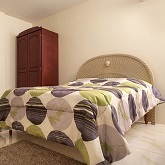 Seasonal rates apply from US$700 daily with minimum stay of 5 nights. 3-bedroom, 2-bath villa nestled amongst tropical vegetation in Crosbies, near Antigua’s northern coastline is renting at US$4,500 per month. 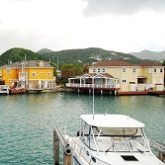 Read the company's first "Guide to Real Estate in Antigua and Barbuda". 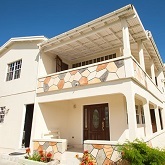 3-bedroom fully furnished townhouses in the gated community of Jolly Harbour are available for rent. 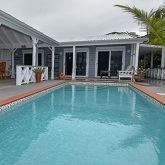 Gorgeous beach house with private pool located in the gated community of Jolly Harbour is available to rent from US$8,000 - US$17,500 weekly. This perfect holiday spot for couples or families is available from 11/12/17 to 10/01/18 at £995 per week for the Christmas period, and from 19/02/18 to 19/03/18 for £799 per week. 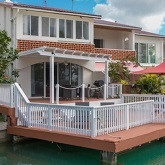 This delightful, waterfront villa on the South Finger of Jolly Harbour with the perfect setting to enjoy stunning views of the Marina is renting at US$2,200 Weekly. 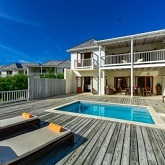 Gorgeous 5-bedroom home located on Jolly Harbour’s quiet north beach, with a mix of contemporary and Caribbean style is renting from US$1,299 daily. 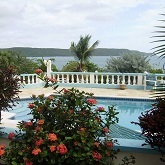 A Spanish-style villa tucked away on a hillside above Dickenson Bay, offering a fabulous view and three bedrooms. Location! Location! — the perfect location for building a dream (holiday home). Ideal for a home-buyer and investor. 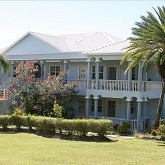 This beautiful and fully furnished executive home located on Marble Hill Road is renting at US$2,300 per month. Child-friendly apartment complex situated on All Saints Road is renting 2 bedroom apartments for US$1,000 monthly, and studios at US$500 monthly. 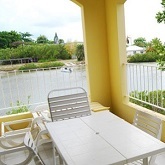 4-bedroom charming waterfront villa for sale within the gated community of Jolly Harbour. Price on request. This lovely two bedroom apartment with stunning views of Deep Bay and within walking distance to Coconut Beach is available at US$1,500 monthly. 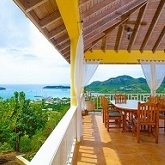 This luxurious 4-bedroom residence set in exclusive Nonsuch Bay Resort on the South Eastern corner of Antigua, is available to rent from US$10,000 weekly. 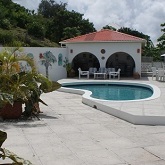 4-bedroom, 4-bathroom home located on the outskirts of St John’s and nestled in a lush tropical garden with swimming pool is renting at US$599.00 daily. 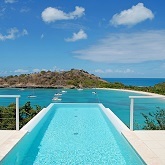 A stylish ocean front villa, perfect for families & large groups is available for Antigua Sailing Week. 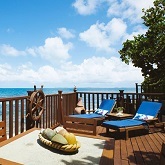 Special rates for couples apply from US$1,160 weekly. A modern and exclusive hideaway with five spacious, self-contained 2-bedroom villas are available for long or short term rental. Price on request. 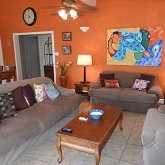 Charming 3-bedroom, 2.5 bath property located in the beautiful and quiet neighborhood of Cedar Valley, is available for long term rental at US$2,500 monthly. 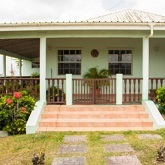 Located in the Belmont Estate, panoramic views of Antigua gives this 3-bedroom, 2 ½ bathroom home its edge. Selling at US$360,000. 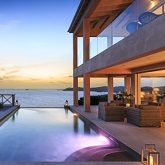 Located on the bluff of Galley Bay, the 5-bedroom villa sits on a waterfront hillside with spectacular views of the sea. Available for short term rental. Price on request. 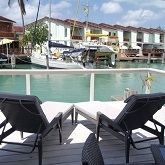 Fully furnished apartment located a few minutes away from the airport and with waterfront views of Crabbs Peninsular is renting at US$1,350 Monthly. This fabulous 4-bedroom home features stunning views of the Caribbean Sea, Atlantic Ocean and St. Kitts and Nevis in the distance at low tide. For sale at US$875,000. 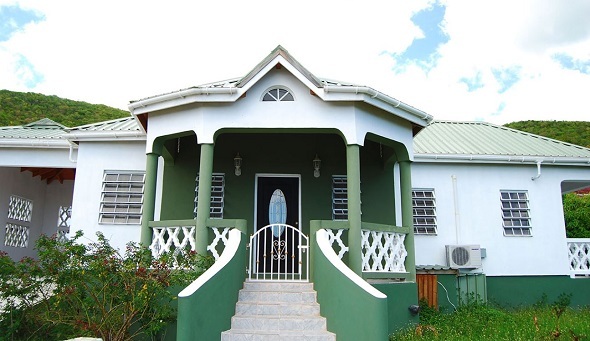 Stylishly furnished and well maintained house with amazing coastal views, and just 5-minutes away from popular restaurants is renting at US$2,400 - EC$6,480 Monthly. This charming waterfront villa ideally located in the gated community of Jolly Harbour, on the North Finger is selling at US$895,000. Located on Ayers Creek, these waterfront residences are in the heart of the marina expansion project of Phase Two and will overlook the marina. Price on request. 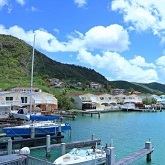 Located on the South Finger in Jolly Harbour, Antigua’s largest gated community and only a short walk away from South Beach. Selling at US$275,000. 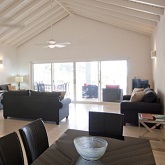 Located in Jolly Harbour, this newly built eclectic home is a combination of modern design and Caribbean flair. Selling at US$3,100,000. 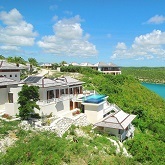 The magnificent Villa Ponderosa sits atop a hill above the white sands of the Blue Waters resort. For sale at US$1,200,000. A thoroughly exotic retreat set at the far end of the Galleon Beach resort, Villa Moondance consists of 3 individual cottages. 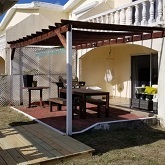 For rent at US$700 Daily. 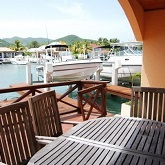 Located in a much sought after neighborhood, and on a rise overlooking calm turquoise waters is this family home for rent at US$4,000 Monthly. This small 2-bedroom house located in Turtle Bay, on the peninsular at the outer edge of Falmouth Harbour is for rent at US$1,600 Monthly. 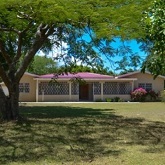 Located in the quiet neighborhood of Royal Gardens, this lovely 4-bedroom home, suitable for a family is available to rent at US$4,500. A contemporary designed villa with accommodation over two floors, Papaya House is set on a wooded hillside in a delightful valley just above Darkwood Beach. Selling at US$1,350,000. 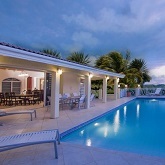 Situated on the exclusive Harbour Island, is this magnificent water front property. With over 2200 sq. 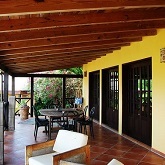 ft. of living space, this property is an ideal holiday home. Selling at $1,700,000. 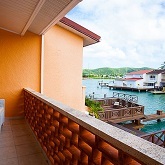 Two delightful apartments ideally situated amid the serenity of Corbinson’s Point and between Dickenson and Runaway Bay beaches. Renting at US$1,200 Monthly. Located in the Coolidge residential area and set upon a beautiful 0.5 acre plot with fruit trees and a variety of unique flora, this house boasts traditional character. For Sale at US$350,000. 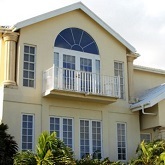 Located in the South Finger in Jolly Harbour Marina is Villa 233B villa with spectacular views and upscale and elegant furnishings. Renting from US$1,500 Weekly. 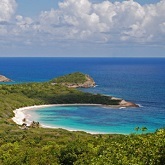 Located at the base of Antigua’s scenic Sleeping Indian this parcel commands stunning views over Jolly Harbour and the Caribbean Sea. Selling at US$12 - US$14 per sq. ft. 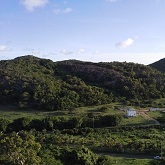 This half acre plot on the hillside above Cedar Valley is a great location for a residential property. For Sale at US$145,000. 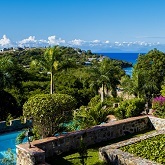 Overlooking the beautiful Caribbean sea, Galley Bay House boasts some of the most spectacular views of the West Coast. 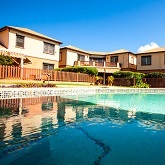 Renting at US$2,500 Monthly. 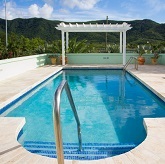 Located in one of Antigua’s most private and scenic gated communities is Villa Naia. Renting at US$600 Per day. 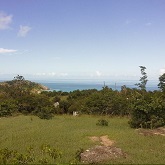 This beautiful plot is approximately 1.25 acres and is surrounded by magnificent ocean views. Selling at US$1,000,000. 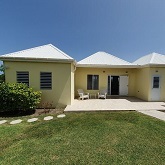 Delightful 3-bedroom, 2-bathroom villa located in Jolly Harbour gated community is up For sale at US$275,000. 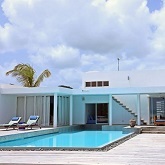 Located on the North Eastern side of the island in Fitches Creek, is 3-bedroom, 3-bathroom Villa Seatang. For Sale at US$885,500. 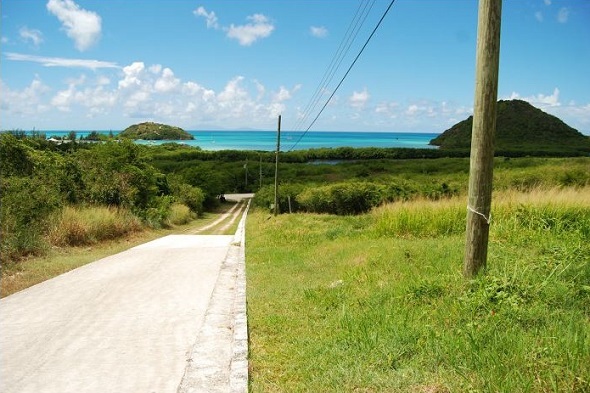 This 1/2 acre corner plot is located in Hodges Bay, facing the street and the sea beyond it. Selling at US$650,000. Fantastic development opportunity! 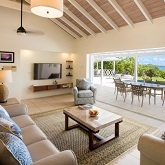 The Beach House, on tranquil, unspoiled Barbuda located in the heart of the Caribbean, boasts spectacular views across an almost endless stretch of beach streaked with pink sand. Introducing Pearns Point. 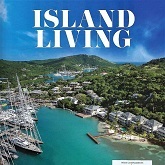 This stunning 130-acre peninsula extends into the calm Caribbean Sea on the north-west corner of Antigua, connected to the mainland by a narrow causeway of land, giving it the feel of a private island with of the convenience of a mainland development. 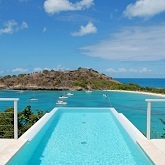 This gorgeous villa ticks all the boxes for beach front luxury in Antigua. Jolly Harbour Sports Bar & Restaurant now open!